The internet has been going wild with theories that Jason Momoa will be returning to Game of Thrones. Hey, Jon Snow came back from the dead, so it's not that implausible that we might see Khal Drogo next. Even more suspicious, the actor has been sharing Game of Thrones photos on his Instagram with the phrase "ALOHA DROGO" as part of the caption — what else could it mean? (Well, besides maybe an on-set inside joke that has nothing to do with us.) However, Momoa has got a lot of projects on his plate, so it might not be that easy for our favorite deceased Dothraki Khal to get back into Westeros. While I remain ever hopeful, there are a few scheduling conflicts that the actor will have to get around. I know, I know, it's a troubling thought that scheduling could change the course of events in the series. But Jason Momoa is a talented, heavily eyebrow'd actor, and, because of both of those things, he is in very high demand. Besides, it's not like the show hasn't gone off course from the books — if Drogo coming back is what will happen in the books. (Come on George R.R. Martin, hurry up.) The following are the different movies and television shows that might prevent us from getting more Drogo anytime soon. How can one get from the DC Universe all the way to Song of Ice and Fire universe? According to the Internet Movie Database (IMDB), this project is in the middle of filming right now, and Game of Thrones is set to start filming as well. I'm not an actor, or Momoa, so I'm not really sure what's what. But it can't be easy to play two characters at once, specifically when shooting is in two different locations. This movie won't be released until 2018, so the crew is still in the midst of pre-production, if anything has started yet at all. But that doesn't mean the guy playing the titular role won't have a lot to do in preparation. This action movie starring Momoa tells the story of a logger who must defend his family from a group of dangerous drug runners. IMDB reports the film is still in post-production but that doesn't mean the actor doesn't need to be involved. There are special effects and probably some dialogue left over that he may have to be present to assist with. Same story of post-production for Discovery's first scripted television series, Frontier, as for Braven. 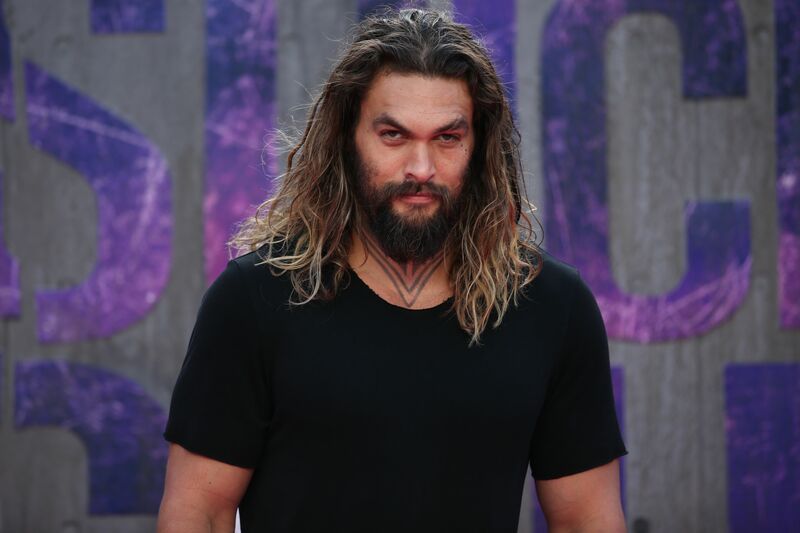 According to The Hollywood Reporter, Momoa plays Declan Harp, an "ambitious, confident, charismatic, and untamed man with a reputation for being a ruthless trader, driven by lust and revenge." Who knows if he is still needed to do some work for this series? Once Upon A Time In Venice (formerly known as Going Under) is a comedy about a detective (Bruce Willis) whose dog is stolen by a gang run by a ruthless leader (Momoa), who then forces the detective to do errands for the gang as a means of retrieving the dog. Momoa got to show off his comedic side in this film, and Variety reports that it began shooting in July 2015. Who knows if Momoa still has work to do on it? But hey, film production is complicated so it could be possible. This potential role in the reboot of the film The Crow is just a rumor, based on an Instagram photo from Momoa's account with the director of the film Corin Hardy rocking the caption, "The only way to officially seal the deal as men is a pint of black beauty." So, if Momoa is involved with The Crow — the story of a dead man who comes back to life as an undead avenger of his and his fiancée's murder — he'll probably have a lot on his plate in the days to come. This former Game of Thrones actor is a super impressive dude, and his Instagram shows that he is well-traveled. Maybe it won't be hard for him to balance all these different jobs in different locations. Maybe he will come back as Drogo and shake up Westeros. What do we know? Anything's possible.